2007 Virginia Tech Hokies season preview from Maddux Sports. Below you can find our official Virginia Tech Hokies football preview as well as the 2007 Virginia Tech Hokies Football Schedule. Dont miss Maddux's college football predictions against the college football point spread from the 2-time UHC contest winner. The Virginia Tech Hokies (10- 3 overall, 6- 2 ACC) finished second in their division and went to the Chick-fil-A Bowl where they lost to Georgia 24- 31. The Hokies have an extremely tough schedule, but they also sport one of the best teams in recent memory. The offense generated 25.9 PPG, ranking them 49th nationally. With plenty of returning players, including most of the frontline, and a QB with some experience, the Hokies will be running a more complex offense. Junior QB Sean Glennon (56.3%COMP, 2,191 YDs, 11 TDs, 11 INTs) needs to make better decisions with the ball. When he played well last season, the team won; when he did not, they lost. He had an excellent spring camp and looks more poised and ready to go. Junior TB Brandon Ore (241 CAR, 1,137 YDs, 4.7 AVG, 16 TDs) could be the most important offensive weapon on the club. Returning senior wide men Josh Morgan (33 REC, 448 YDs, 13.6 AVG, 4 TDs) and Eddie Royal (31 REC, 497 YDs, 16.0 AVG, 3 TDs) can make things happen. Virginia Tech sported the top defense in the nation, holding opponents to 11.0 PPG. With eight returning starters, five of whom have All-ACC potential, the team should continue to shutdown the opposition. ILB Vince Hall (128 tackles, 61 solo) is a tackle machine and ILB Xavier Adibi (82 tackles, 29 solo) is a fine compliment. Junior corners Brandon Flowers and Macho Harris are athletic playmakers. DE Chris Ellis (4.5 sacks) has fine moves and good speed. Virginia Tech will compete for the ACC title and will keep their 15-year bowl streak alive. Keeping them from a perfect 12- 0 season are swing games on the road against LSU and Georgia Tech. The team should score more points than it did last season and continue to stop opponents from scoring. For more info on the 2007 Virginia Tech Hokies football program, view the Hokies sports website or scroll down below to read up on the rest of the ACC foes. All of the Atlantic Coast Conference teams from both the Coastal & Atlantic divisions are listed to the right. Each link gives our individual team preview for all of the ACC colleges. For non ACC teams visit our 2007 college football preview page. At any time you may return to the Atlantic Coast Conference Preview page for a quick thumbnail on the conference as a whole including how we forecast the division races playing out. Are the Miami Hurricanes back? Will Va Tech's defense be too much? Finally who will win the jumbled Atlantic division. 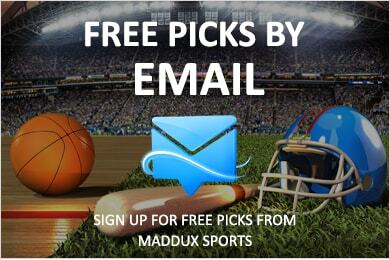 Our home page features Football Sports Picks from Maddux Sports!